The shield of the Archbishop of Whitgift, surmounted with a bishop’s mitre. Below a scroll inscribed Vincit Qui Patitur = He conquers who endures. This example in bronze finish, with a slider to the reverse. 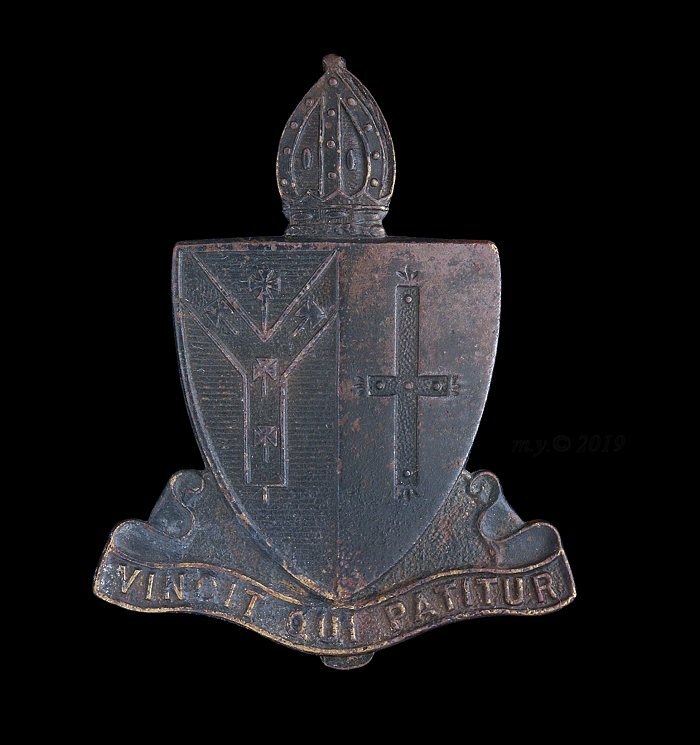 Whitgift OTC formed 12th August 1908. 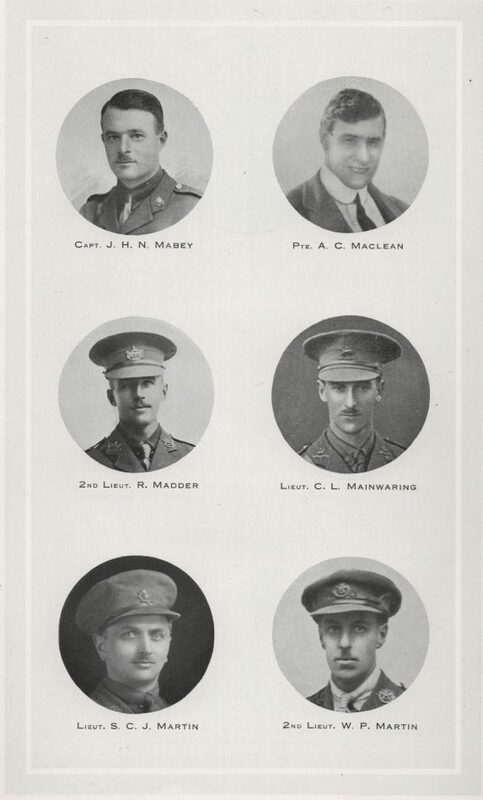 Strength on the 1st April 1911 was: 5 officers, 151 cadets. 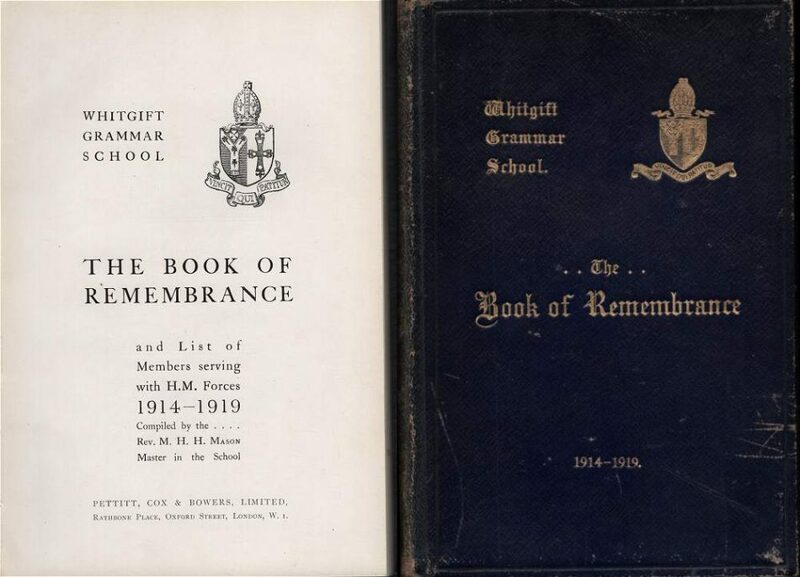 We have the Whitgift Grammar School Book of Remembrance 1914-1919 in the Badge Forum library if any contributing member requires a ‘look-up’ of an individual. Note this is for the school generally not the OTC but we assume a few men were both.